Home > Health & Technology > So You’ve Had Weight-Loss Surgery. Now What? Limiting sedentary behaviors (such as watching TV), self-weighing at least once a week, avoiding fast food, and correcting “problematic” eating behaviors were all factors associated with a greater chance of limiting weight gain after weight-loss surgery. Problematic behaviors included eating continuously, eating when full, loss of control and binge eating. 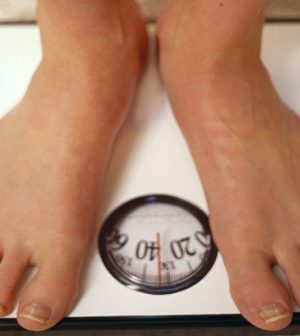 Younger patients were likely to gain more weight than older ones. Other characteristics linked with higher weight regain included having venous edema with ulcerations — a disease of the veins accompanied by sores on the skin; difficulty with daily physical tasks such as bathing, dressing and walking; and symptoms of depression after surgery. “This may sound like common sense,” King said. “But several behaviors and characteristics that clinicians hypothesized to matter were not related to weight regain. For example, while frequency of fast food consumption was associated with greater weight regain, frequency of meals and eating at restaurants were not,” she explained. According to study senior author Dr. Anita Courcoulas, “As clinicians, we know that weight maintenance is the most important, yet challenging, aspect of long-term post-bariatric surgery care.” Courcoulas is chief of minimally invasive bariatric surgery at the University of Pittsburgh Medical Center.